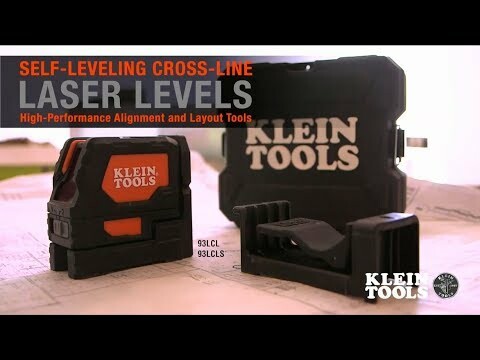 The Klein Tools Self-Leveling Cross-Line Laser Level is a high-performance laser leveling and alignment tool for professionals. This level provides a reliable pendulum self-leveling system with clear, bright laser level lines, and a 90-degree vertical plumb spot feature. Equipped with an integrated magnetic mount and an additional versatile ceiling clip mount, Klein’s cross-line level enables a multitude of alignment and layout applications.